Is your child playing air guitar all over the house? Have they been begging you to buy them a guitar? 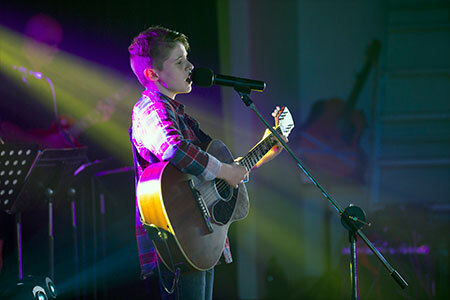 Do you want your child to learn music but not sure which instrument to start with? Well then, guitar lessons could be perfect for your child and your family! We specialise in private guitar lessons for young people. Whatever age or ability they come to us, we can find the right program to suit their learning needs. We make guitar lessons fun and set them up with musical skills for life. 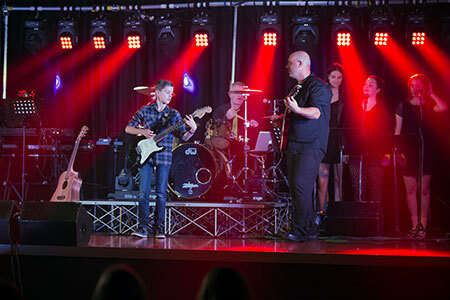 All of our guitar teachers are tertiary qualified, specifically trained in guitar tuition and have worked extensively in the entertainment industry. Students pick the song they wish to learn in their guitar classes. if you don’t enjoy the song you are learning, it makes it very hard to practice! We are passionate about the importance of great guitar techniques, but also aim to keep each lesson as fun and engaging as possible. Our aim is to provide a community for students, enabling them to meet other students they can practice and perform songs with. Our jam packed performance calendar encourages students to get up there and show off their new skills! Motivating them to improve!